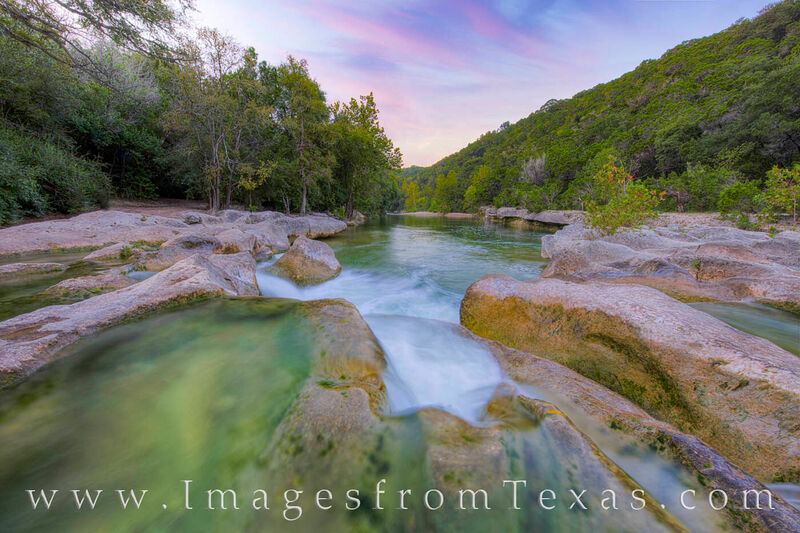 Looking south, the cool water of Barton Creek cascades over Sculpture Falls. Downtown Austin, Texas, is only a few miles away, but all is tranquil in this hidden oasis. Photo © copyright by Rob Greebon.